The loves of my life: Megan says: Oh you're just a SAHM? I don't think so! Megan says: Oh you're just a SAHM? I don't think so! Most of you have seen the name Meegs or Megan on my blog she is my best buddy and a love of my life, yesterday she wrote and posted a very inspiring piece of writing on FB given Meegs doesn't blog (yet) I decided to high jack her writing and post it here. It is really an awesome piece and I felt it must be shared with others. It expresses Meegs thoughts and views on being a stay at home mum, a role that is incredibly important, so here it is enjoy and be inspired!! Oh you're just a SAHM? I don't think so! Recently i have felt that my "status" in society has been questioned. 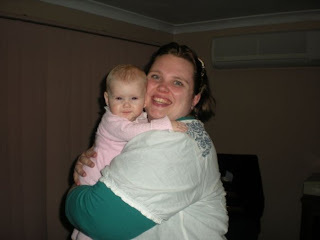 I know I know, here goes another stay at home mum having a rant about how people think less of her! But seriously SAHM does not stand for Stay at home Moron! Why do some people think that because i choose to stay at home, and am very blessed to be in the situation that its a choice, that my brain has gone AWOL and I have no idea what is happening in the "real" world? Why do they think that I can't hold a decent conversation without reverting to baby talk? Why can I not have a valid opinion on a topic? Why do they think that my life revolves only around my children and cooking and cleaning. Yes, my children are my focus literally 24 hrs a day. But working mum's focus on their children 24 hrs a day too. Usually they are working to provide for their children. I am not saying that I am any better or worse than working mums. I myself have been a working mum and its bloody hard! But just because I stay at home I still think and choose and try to better myself and broaden my horizons so to speak! And here's a statement that is very hard to admit too sometimes. I like being a SAHM! Shock horror, i said it! Not because I'm lazy, definitely not, but because I like being able to take my kids to school, pick them up, help with homework, do reading at school and be with my toddler all day. I have the choice to do that and i relish that! I like my husband being the head of my home! I don't want that responsibility thank you very much! We discuss everything together and make our decisions together but if there was to be a title as such, he can have it! However my kids aren't the only thing I have in my life. I have family that I love dearly and like to spend time with. I have AMAZING friends in my life, some with kids, some without, some married, some single, some old, some young. I am friends with people who work , stay at home, have religious beliefs, are atheists, are gay and straight. I don't care what you do or don't do, I don't judge you, that's not my place, if i like you its for you! My integrity has been questioned recently too. Through this trying time I have realised a few things that have been a long time coming. I am strong enough to stand up for what i believe in! WOOHOO! I can admit when i was wrong and am willing to listen to others opinions on matters that are important to them or me. I am not faultless and I am not intending to sound that way. I am after all only human! But I am willing to admit my mistakes. Anyway, that is my vent for today! If you have read this, thank you for taking the time to do so! This Meegs lady seems sooo smart! lol I just added some pic's as well, and this lady is vey smart funny kind compassionate awesome beautiful generous forgiving gentle an expert duck killer and best friend I have ever had!!!!!!!!!!! !